Another ZenBook? This is so confusing. I hear you and ASUS does too. 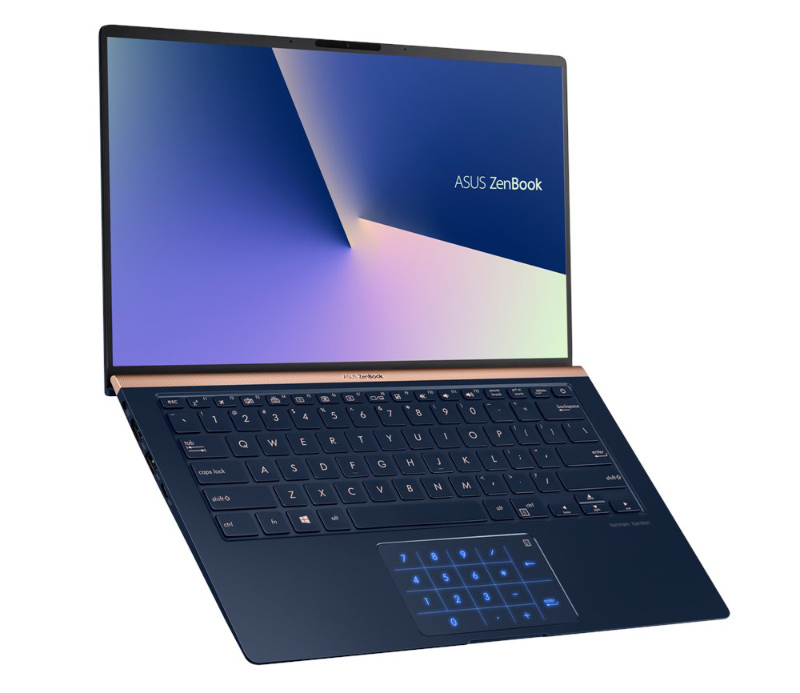 I have been told that there are plans to streamline the ZenBook line-up but the notebook we have here is the newest ZenBook 14, specifically the UX433 that was announced last year. It has taken a while but they are finally here. So, what is the ZenBook 14? It’s a super compact 14-inch notebook. 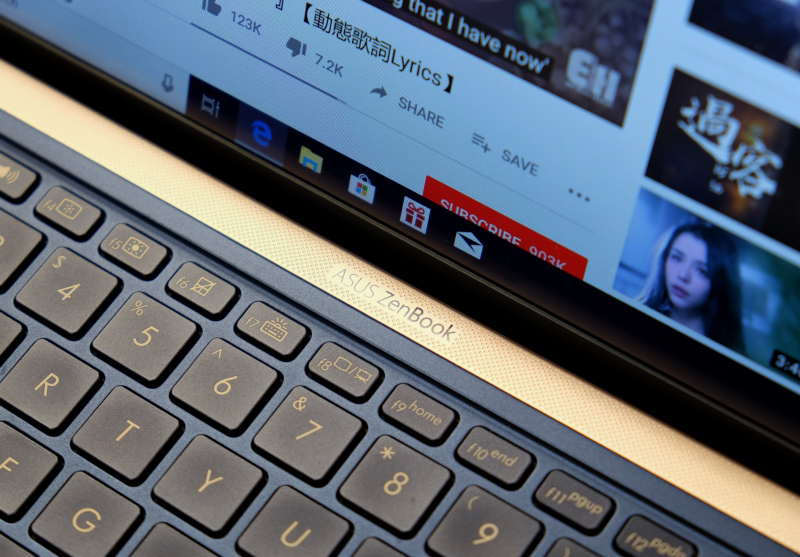 Thanks to super thin bezels that are just 2.9mm thick at the sides and clever packaging, the ZenBook 14 is one of, if not the world’s smallest 14-inch notebook. The new ZenBook 14 weighs just 1.09kg, which makes it one of the lightest 14-inch notebooks around. 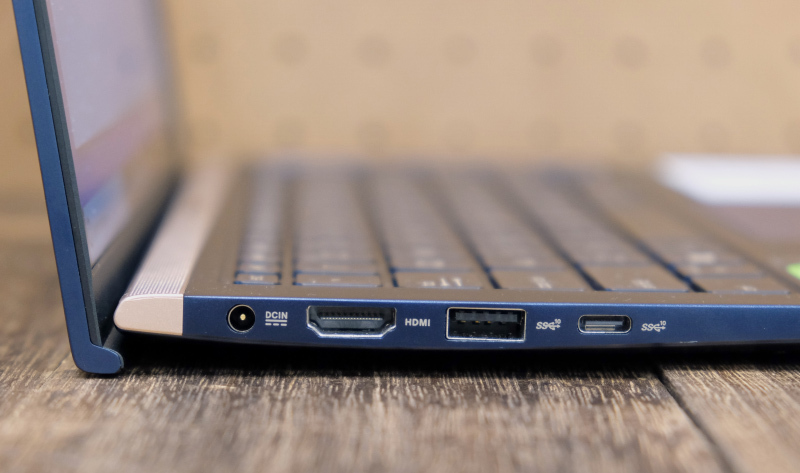 It's 15.9mm thick, which is a bit thick compared to some of its rivals but it makes up for it by having full-size USB-A and HDMI ports (more on this later). In terms of overall dimensions, it's even smaller than last year’s ZenBook 13. Incredibly, it’s also smaller in footprint than many 13-inch ultraportable notebooks. Just take a look at the table below. It looks dainty, will it survive the rigors of daily life? Yes. As a matter of fact, the ZenBook 14 meets the demanding MIL-STD-810 standard for reliability and durability. 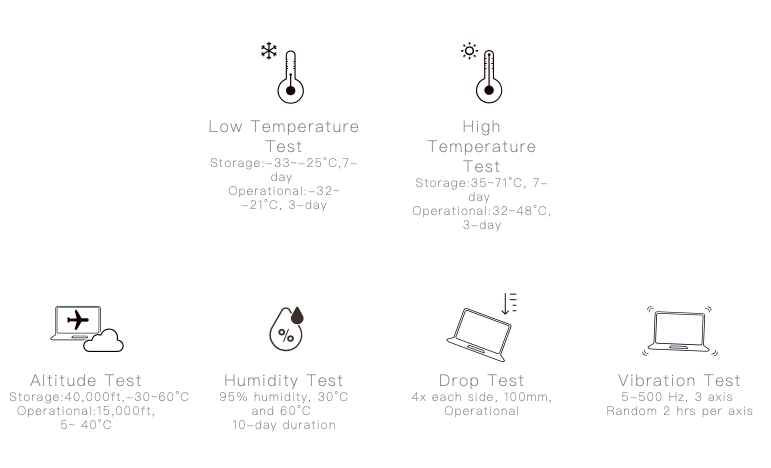 This means it's tested to work in a wide range of temperatures, altitude, and even humidity. It's also drop tested and vibration tested. In short, it's markedly more durable and rugged than most notebooks. That's good to know. But how is it positioned in the ZenBook line-up? Good question. 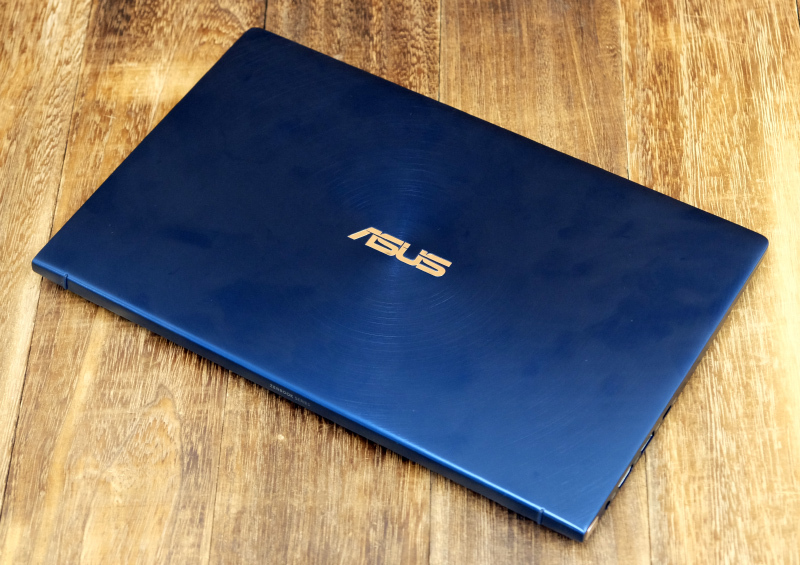 The ZenBook 14 is ASUS’ new mainstream ultraportable notebook. The ZenBook S, which is thinner and lighter and comes with Thunderbolt 3 support, is the brand’s flagship ultraportable notebook. Makes sense. What specs does this machine have? Two configurations will be available in Singapore and both come with Core i7 processors, specifically the latest 8th generation Whiskey Lake Intel Core i7-8565U. Here’s a table detailing the specifications of the two configurations. Take note if colors are important to you as they are exclusive to the selected configuration. In other words, Royal Blue is only available on the model with discrete graphics while Icicle Silver only comes with the one with integrated graphics. As such, we're reviewing the version with discrete graphics. 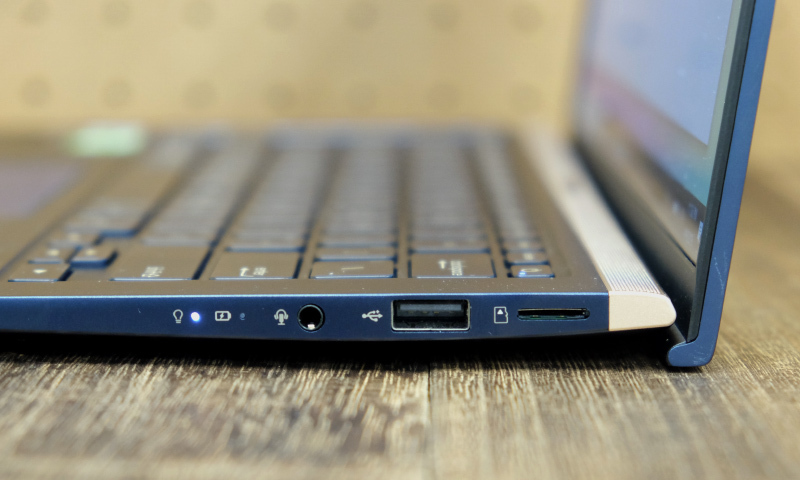 The ZenBook 14 comes with two USB-A ports (one USB 3.1 Gen 2 and the other USB 2.0), a full-size HDMI port, a microSD card reader, and a USB-C port supporting USB 3.1 Gen 2. There's no Thunderbolt 3 support, so take note if using an external graphics dock or the ability to pair up with ultra-fast Thunderbolt 3 portable external SSDs is important to you. Another thing to note is that the USB-C port does not support power delivery so it cannot be used to charge the notebook. Charging has to be done using a traditional DC-in jack, which is a bummer especially if you are already heavily invested into the USB-C ecosystem and have spare chargers lying around. Thanks to its thin bezels, the 14-inch display looks bigger than it actually is. It has a matte finish so reflections and glare are kept to a minimum - useful especially if you are using it outdoors. It only has Full-HD resolution but it looks sharp and crisp enough. It’s also sufficiently bright too. Dim displays is a problem that affects numerous notebooks so it's nice that ASUS is addressing this in the new ZenBook 14. ASUS claims it supports 100% of the sRGB color space and colors look spot on. It certainly looks better than some of the older ZenBook models that we have seen. And finally, since it’s an IPS display, viewing angles are good too. It isn’t touch-enabled, however, and that could be deal-breaker for some people. But if that doesn’t bother you, overall, it’s a pretty great display. I heard the ZenBook 14 has a NumberPad? Yes, the NumberPad is a virtual number pad. It can be invoked on the trackpad by a simple press of a small button on the side of the trackpad, allowing users to quickly input numbers just like they would with a dedicated number pad. 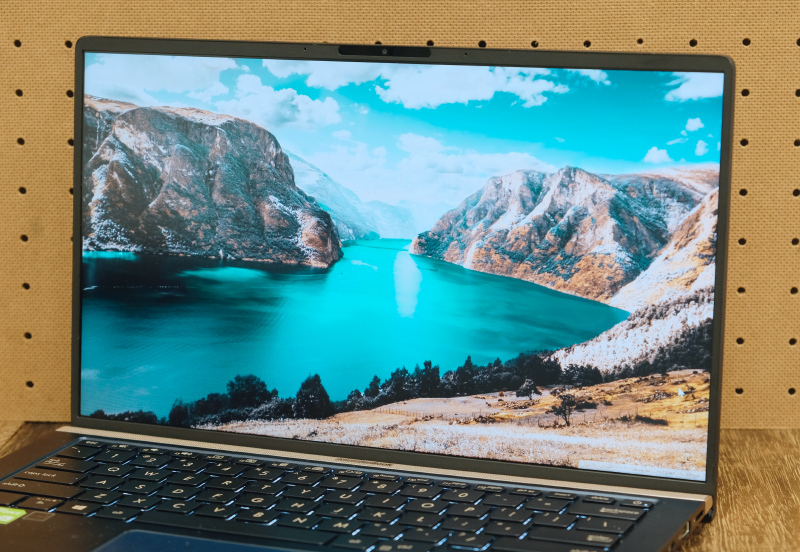 It's an interesting take on delivering features that only exist on a larger notebook. The clever bit is that users do not need to disable the NumberPad to continue using the trackpad normally. 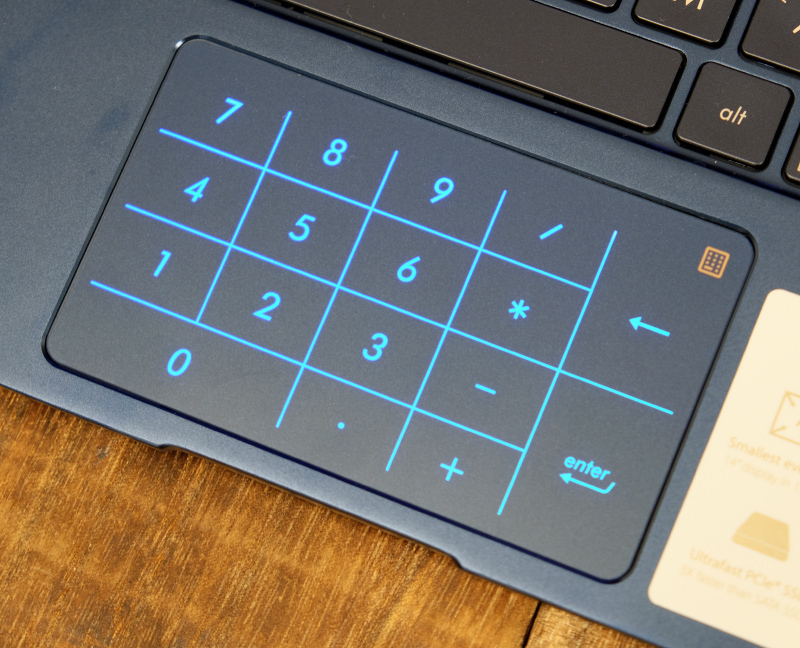 Thanks to finger rejection technology, the trackpad is able to intuitively discern whether or not users are trying to use the virtual number pad or navigate using the trackpad. In practice, however, this finger rejection technology is somewhat of a hit and miss thing. Navigation with the NumberPad activated is alright, but the trackpad gets confused when you are tapping on the trackpad to click on something. There is a simple workaround and that is to use a hard press to let it know that you want to click on something. Anyhow, it's best to turn the NumberPad off when you are not using it. Is it useful? Well it depends on how much number crunching you're dealing with, but the option is there when you require a traditional number pad layout. The only thing that feels off is the positioning of this virtual keypad. 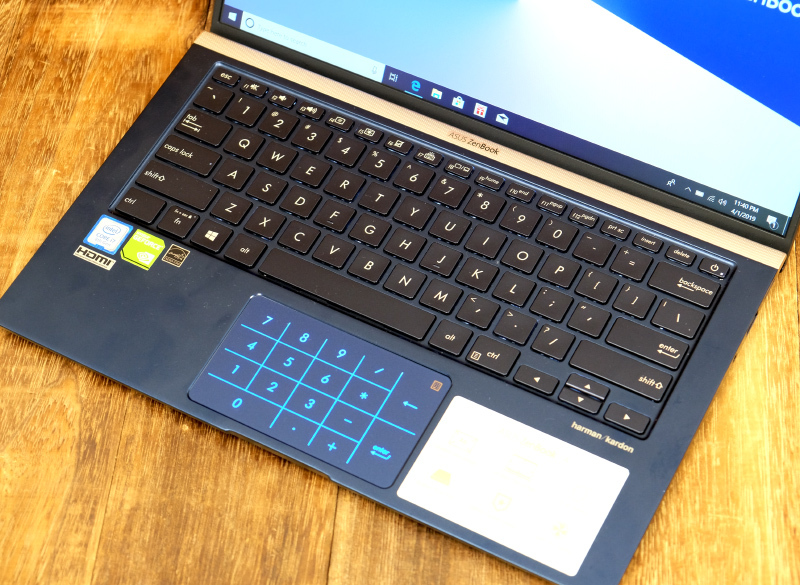 Unlike the Zephyrus series of notebooks that has the trackpad on the right of the keyboard (and doubles up as a number pad too conveniently), the Zenbook 14 is relying on a traditional trackpad's placement, thus a wee bit more hand movement is required. How are the keyboard and trackpad? The keyboard is very usable. The keys are full-size and the layout is conventional. Coupled with a decent amount of key travel, most people can get used to it easily. Furthermore, the ErgoLift angles the keyboard making it more comfortable to type on. The ZenBook 14 has a Windows Precision touchpad and so it is accurate and responsive. The ability to switch to a virtual number pad is quite cool too and can be useful in some situations. However, the trackpad is quite cramped - a consequence of the notebook’s small footprint. It’s sufficiently wide at 10.5cm but at 6.1cm in height, it’s one of the narrowest trackpads we have used, especially on a 14-inch notebook. Only the XPS 13 (10.5cm by 6cm) is smaller. It's a hinge mechanism that lifts the keyboard and tilts it at a slight angle. Primarily, it helps make the ZenBook 14 nicer to type on but it also has a nice side benefit of creating extra space under the notebook to improve ventilation. Finally, it also helps the downward firing speakers by positioning it closer to the surface. To be honest, the angle of tilt isn't too great. It's just 3 degrees but it has a noticeable effect of making the ZenBook 14 more pleasant to type on. On the flip side, the speakers still sounded tinny and lackluster.